Copyright. 1896, by Thomas J O'Donohue and R. T. Parks. Words by Thomas J. O'Douohue. Music by Richard L. Wearer. He left our glorious country to free the one oppressed. And the Stars and Stripes Of Liberty I pinned upon his breast. My love in the battle fell, fighting for liberty. He kissed me in the moonlight before he Joined the rest. While fighting with the Spaniards he was always in the fore. 'Twas there the gallant hero of great athletic fame. 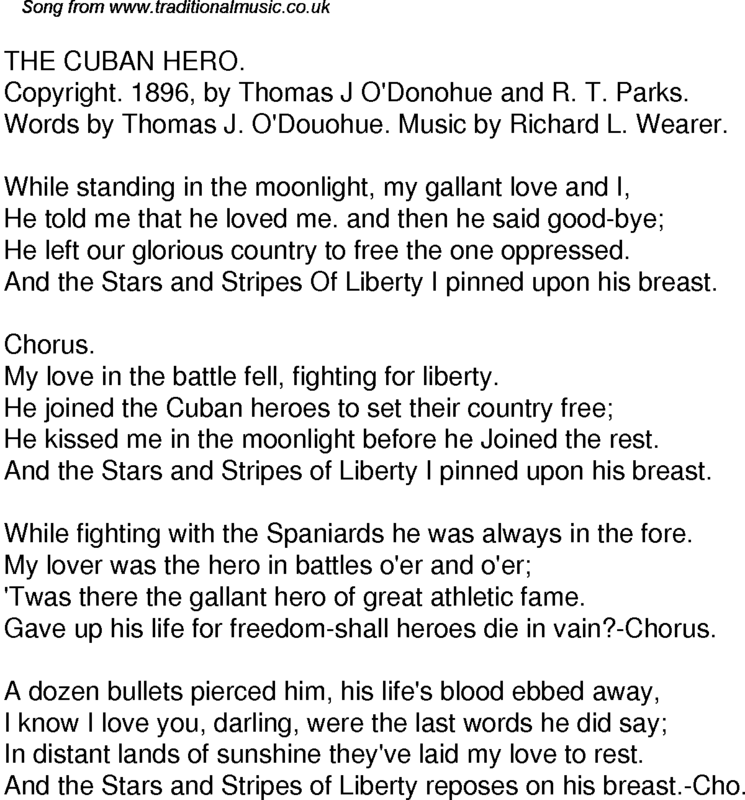 Gave up his life for freedom-shall heroes die in vain?-Chorus. In distant lands of sunshine they've laid my love to rest. And the Stars and Stripes of Liberty reposes on his breast.-Cho.